A migraine is not just a bad headache. It is usually a combination of other symptoms that add up to an episode that can last from hours to days. Along with a throbbing headache, migraine sufferers can also experience nausea, vomiting, extreme sensitivity to light, sounds, and smells, mood changes, cognitive dysfunction and more. Migraines most commonly arise during puberty or young adulthood and recur every so often. Most people know that migraines can take a person out of commission for a few hours, but few realize just how disabling they can be. The following facts and figures are meant to shed some light on an extremely common and debilitating condition. Migraine is the 3rd most prevalent illness globally. This amounts to approximately 1 billion people who suffer from migraines. While women are disproportionally affected (85% of chronic migraine sufferers are women), migraine also impacts men as well as children. Migraines can be totally debilitating. If you or someone close to you experience migraines, then you know how badly they can interrupt your life. Over 90% of migraine sufferers cannot work or function normally during an episode. Oftentimes this also means missed social opportunities and family time. Migraines have a significant economic impact. Costs of migraine treatment exceed $5 billion on an annual basis. Each year, the cost of healthcare and lost productivity combined are estimated at $36 billion. These numbers are staggering considering that migraine sufferers often experience concurrent health issues such as depression and anxiety. Children experience migraines too. 10% of all school-age kids suffer from migraines and half of all migraine sufferers actually experience their first episode before age 12. Infantile colic may even be an early form of migraine and was found to be associated with childhood migraines. This can have a significant effect on a child’s ability to attend school and keep up with their peers. Migraine-prone children miss school twice as often as children without. Migraines can become a chronic condition. Some people experience migraines only sporadically. However, there are more than 4 million adults who suffer from chronic migraines, meaning that they have at last 15 episodes per month. Aside from the obvious difficulties that chronic migraine sufferers face, they are also more apt to suffer from sleep disturbances, anxiety, and depression. What is Causing my Migraines? Although much research is being done and information continues to evolve, migraine still remains a relatively poorly understood condition. Because of this, it can go undiagnosed and undertreated in many people. In the United States alone there are only 500 headache specialists to serve 38 million migraine sufferers. Migraines are thought to be neurologically-based headaches, meaning that migraine sufferers might have certain changes within their central nervous system that makes them more susceptible to developing migraine attacks. Other known triggers include lack of sleep, changes in weather, certain foods (such as aged cheeses or meats), red wine, and stress. There may also be a genetic component – more than half of people who have migraines have a parent or other close relative who also suffers from them. 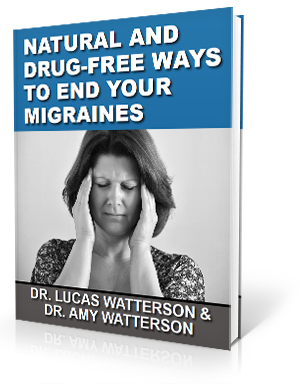 Since medication overuse is one of the more common reasons why migraines become chronic, more people are seeking out natural alternatives to try and halt migraine episodes in their tracks. Many migraine sufferers are finding success with upper cervical chiropractic care. Outcomes range from a reduction in the severity of attacks, less frequent attacks, and a complete disappearance of migraines altogether. What Makes the Upper Cervical Approach Different? Precise adjustments – we utilize very particular diagnostic imaging in order to measure each patient’s individual misalignment down to fractions of a degree. 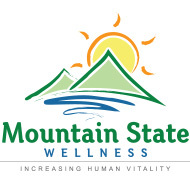 What this means for our patients are corrections that are customized for each of their specific needs. Adjustments are given only when necessary – Rather than automatically adjusting you on every single visit, we go through different measurements on each visit to determine whether or not your atlas alignment is holding. If your atlas remained in place from your previous adjustment, attempting to correct it again would do more harm than good. The length of time you are able to maintain normal alignment is what allows for healing to take place, not repeated adjustments. A narrower focus brings a higher level of expertise – Upper cervical chiropractors often take additional seminars and courses to perfect their technique and carry additional technique certifications. What this means for our patients is a more thorough understanding about how a subtle atlas misalignment might be contributing to your migraines and influencing your overall health and wellbeing. Gentle adjustments – upper cervical chiropractic care does not require forceful popping or twisting of the neck. We go to great lengths to determine exactly how your vertebrae have misaligned so we can tailor gentle adjustments for each individual based on their needs. What all of this adds up to for migraine sufferers is an approach that has the potential to address the underlying cause of your condition. Restoring normal upper cervical spinal alignment can correct blood and cerebrospinal fluid flow issues and can normalize brainstem function. For many migraine sufferers, this has led to natural and long-lasting relief or even complete remission of their symptoms.